How can I change the logo for all of my programs at once? – How can we help you? You can change the logo across all programs in your SmarterSelect account by adding/changing your logo under your Account Settings. Ensure you are a Provider Admin. Provider Users do not have access to these settings. 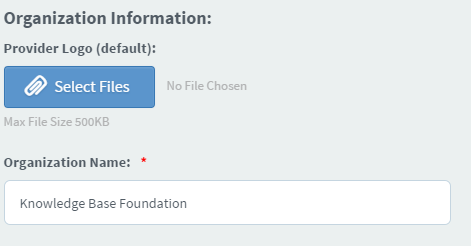 Click Select File under the title Provider Logo(default). Select the image you would like to use. The best logo size is no larger than 320 x 100 pixels. Your new logo will now automatically appear on all programs. 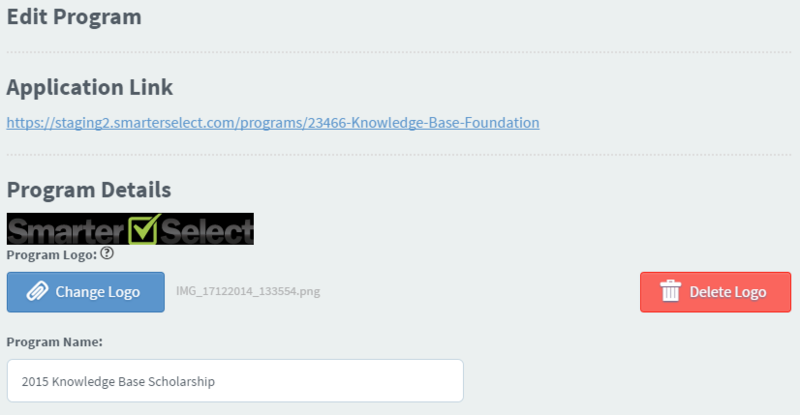 However, if you have individual programs where a logo has been uploaded on the Program page, you will need to delete the logo file in order for the default logo to appear. Click on the program that needs the logo deleted. Now, the default logo will appear on this program.